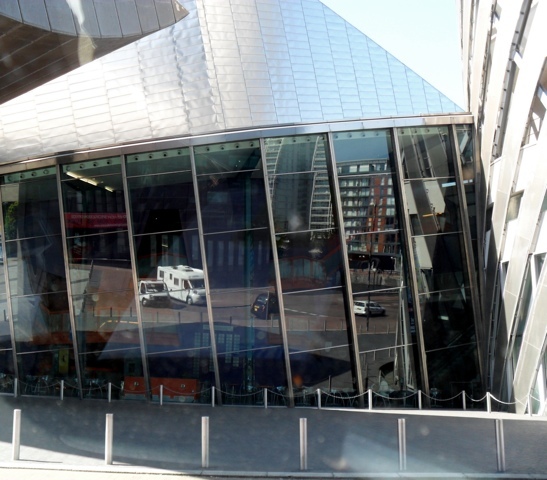 I am visiting my daughter in Manchester this weekend and had a chance to pop in to Salford Quays – home of The Lowry, Imperial War Museum North, a chunk of the BBC formerly in London and lots, lots more. It is quite a place and I urge you to visit. This must be one of the best examples we have in the UK of a city rejuvenating itself. I used to spend a lot of my time early in my career in Manchester in places like Salford, Barton Dock Road and Urmston. As we all know such places have changed beyond what any of us could imagine and much of it due to old industries collapsing, horrible redundancies and an urgent need to reinvent and rejuvenate. It has not been easy and certainly not without considerable pain, but on a gloriously sunny day in Salford Quays you have to acknowledge the considerable achievements that have been delivered and which look superb.